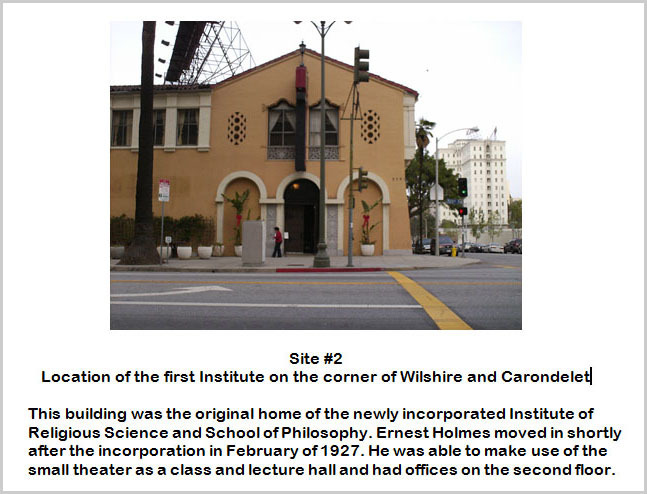 The birthplace of the Science of Mind was in Los Angeles. 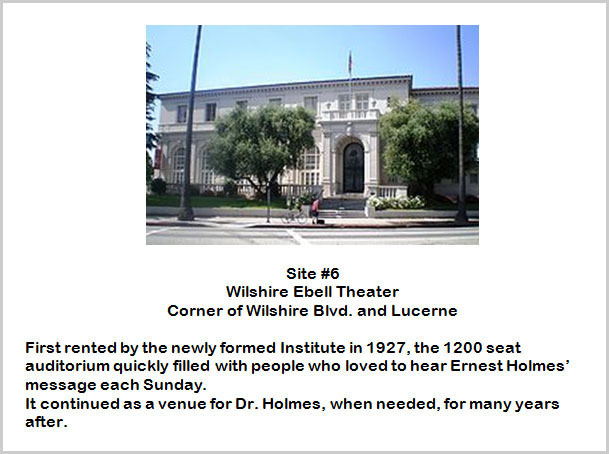 Ernest Holmes began his great work here. 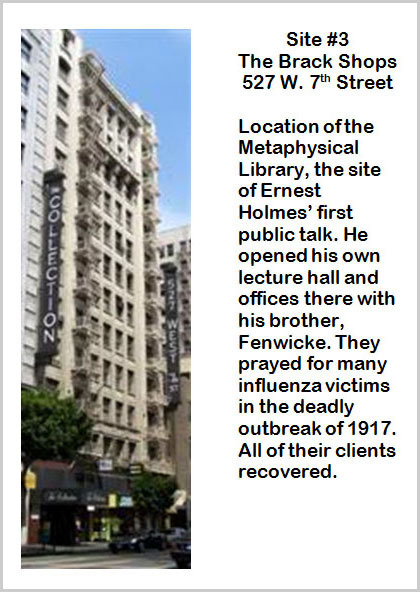 Situated locally around Founder’s there are numerous sites where he, along with his brother Fenwicke in the early days, lectured, taught classes or seminars and set up shop to offer spiritual mind treatment, also known as “affirmative prayer” to the public. 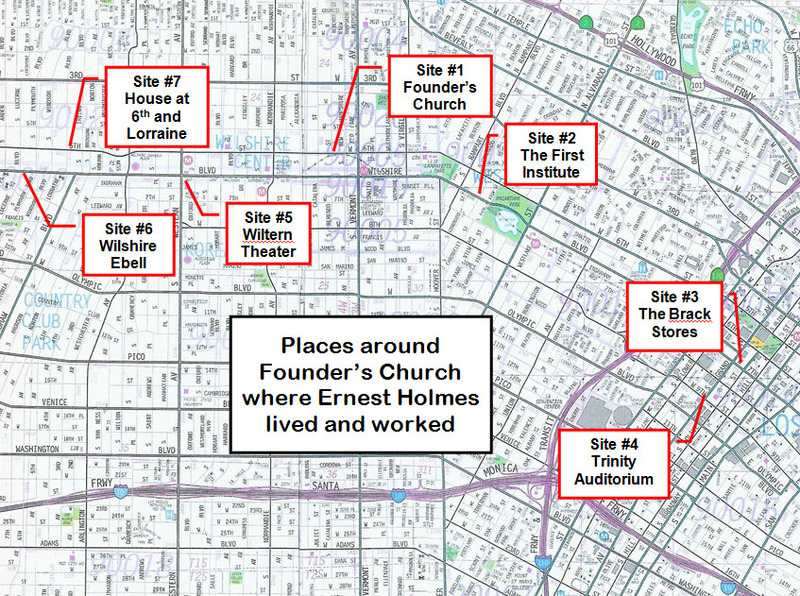 The map below marks the location of each site with a number. 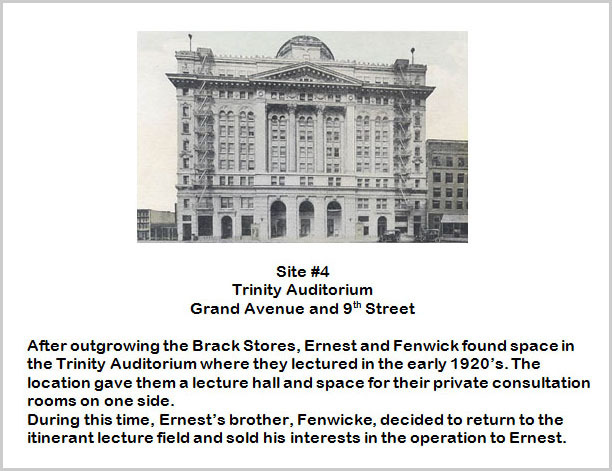 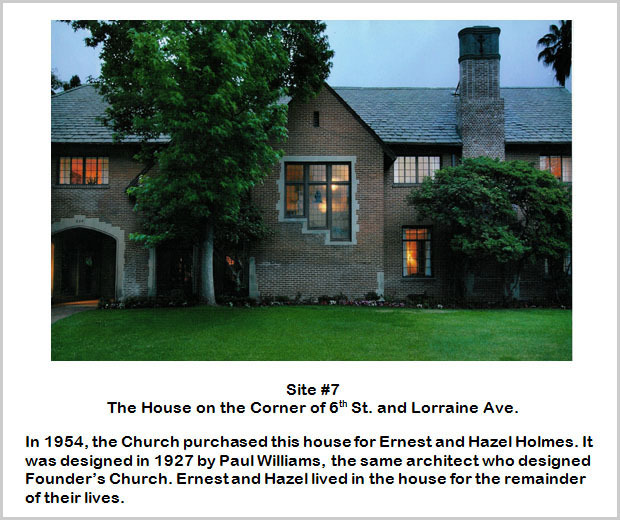 Click on a location to see a picture and more detail about what Ernest Holmes did there and its meaning to his developing movement. 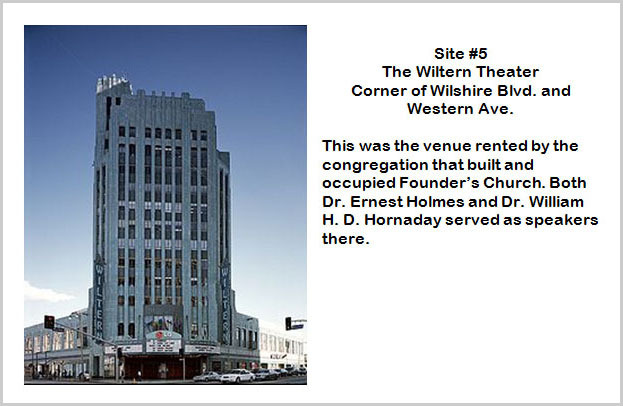 All of these buildings are still with us and may be seen by taking a brief drive around the city. 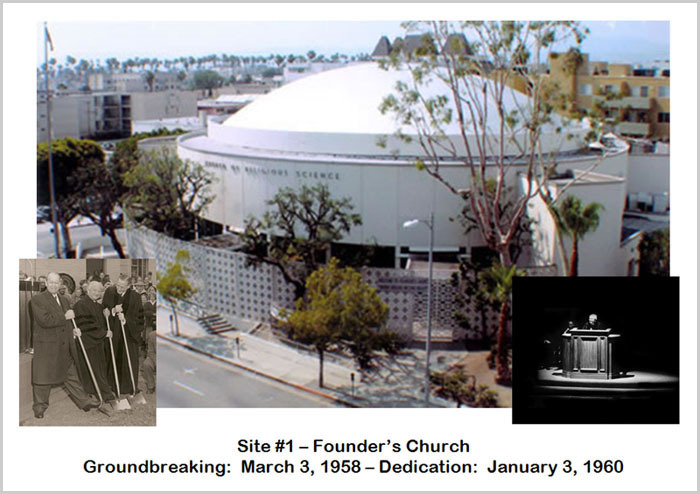 Happily, they have all been declared historic landmarks in their own right, as has Founder’s itself, so they will be with us for many years to come.